In the 1960s Forbes and Martha Merkley operated a dairy farm just outside the city limits of Flint. Here the urbanization of “Buick City” was held in check by a farm and the Merkley’s love for their gently rolling landscape that included not only pastures but meadows, mature woodlots, wetlands and ponds. 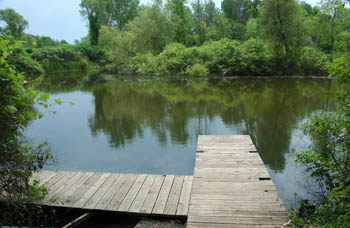 Eager to preserve their property, the couple donated 383 acres to Genesee County and in 1970 For-Mar Nature Preserve and Arboretum opened as a county park. Today the preserve features seven miles of trails, two nature centers, a picnic area and a handful of gardens. For-Mar is a popular field trip for local school groups and an excellent destination for families looking to combine a natural history lesson with a hike through the woods or along a stream. The main feature of For-Mar is Kearsley Creek that practically splits the preserve in half and the most interesting hiking is along the trails that wind through the stream’s heavily wooded floodplain. 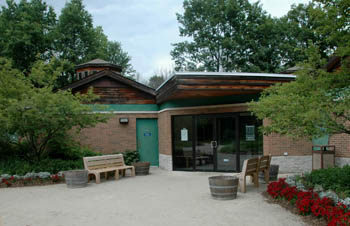 A good portion of the preserve is open meadows, restored prairie and park-like areas and gardens. The trail system at For-Mar is a maze of short foot paths, mowed lanes and gravel roads. Thanks to the Friends of For-Mar, that was established in 1974 by Martha Merkley, the trails are well mapped and posted at every junction with more than 60 signposts. There are few designed loops but segments are extremely short, allowing families to easily adjust their outing throughout their hike. 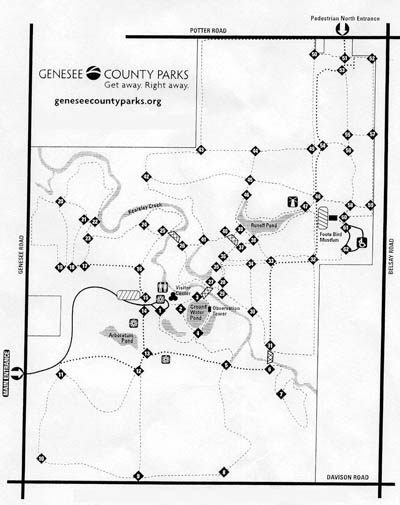 Pets are not allowed in the preserve and jogging and biking are permitted on the gravel service drive only. In the winter, when there is an accumulation of three or more inches of snow, the park attraction cross-country skiers though the trails are not groomed. One of the best days to visit For-Mar is Sunday when you can include both the Forbes and Martha Merkley Visitor Center and the Corydon E. Foote Bird Museum. Foote was a life-long Flint resident who began collecting the birds during the Civil War when he joined the Union Army as a 14-year-old drummer in 1862. He was 80 before he stopped mounting and cataloguing birds. The collection is now the Foote Bird Museum located at For-Mar's DeWaters Education Center and featuring more than 600 mounted birds and their eggs. 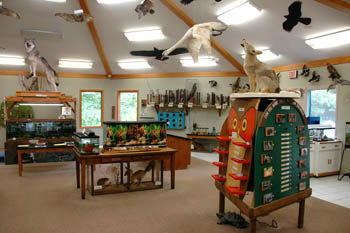 The main room of the museum contains 22 large display cases filled with birds; owls, hawks and grebes, nuthatches and colorful bluebirds, with many species perched on a branch or near their nest. The most striking are the scarlet tanagers, three brilliantly red birds surrounding a nest with three eggs.